The muzzle end of the Warden Blast Diffuser. The tube channels the blast of a muzzle brake forward away from the shooter and anyone on the sides. The holidays are upon us and while sugar plums dance in your heads, I have been pondering the upcoming SHOT Show. The last few weeks my inbox has seen an increase of “Black Friday Sales” and what’s hot and new for the 2018 SHOT Show. Without a doubt there will be several new offerings in firearms, but that is generally kept under wraps for the “wow factor” of the show. Manufacturers of soft good and support gear, however, have been getting their new products in and we are going to look at a few. The GunMag has been able to get samples from First Tactical, Surefire, 5.11 Tactical, Vertx and XS Sights. Over the last few years 3-Gun competition has taken the industry by storm. One item competitors have demanded is a muzzle brake that reduces muzzle rise and recoil in larger calibers. The drawback to functioning muzzle brakes is the concussion. Surefire (Phone: 800-828-8809; Online: surefire.com) has been one of the most in demand muzzle brakes because it works and if your state allows it, acts as a mount for Surefire’s excellent suppressors. 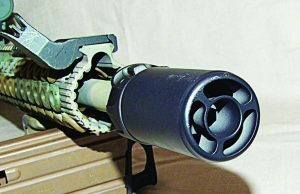 Surefire realizing not all shooters can attach a suppressor to mitigate muzzle blast, developed the Warden Blast Diffuser works on both .223 and 7.62 brakes. In simplest terms the Warden is a non-functioning suppressor. What is does do is direct the muzzle blast and concussion forward. From my own experience I can tell you this is a welcome addition on my Surefire brakes. I have found the side blast and noise when friends have been shooting my ARs is brutal. In an enclosed or partially enclosed range building, even in .223 the concussion is brutal. It is worth every penny of the $180 to be a courteous shooter. For those who want a versatile athletic shoe for shooting, working out and casual wear 5.11 Tactical’s ABR is a great choice. Men are in Gecko on the left, Fuchsia for the ladies on the right. The Warden is designed to attach to the newer SOCOM mounts, but if you are like me and have older Surefire muzzle brakes you will find it works perfectly. I have found the “brake” affect when installed is reduced, but for practice, plinking and testing ammunition, who cares? Not having your friends at the range staring you down and mumbling is worth the reduced efficiency. I have not noticed any point of aim/impact shift like you do when the suppressor is mounted. If, like most of us, you shoot with others and you use Surefire muzzle brakes or flash hiders, get a Warden Blast Diffuser; your buds will appreciate it. Another portion of the industry that competition has driven is footwear. In action shooting you need footwear that is stable, comfortable, gives good traction and looks good. 5.11 Tactical (Phone: 866-451-1726; Online: 511tactical.com) has been building shoes for Cross Fit and those who do Spartan type races. 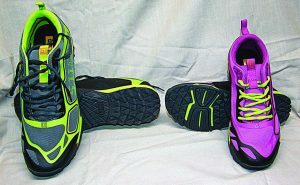 Shoes built to survive those applications are ideal for shooters. Their latest model, the $100 ABR, is available for both men and women. Both models are available in black. If you prefer brighter colors, the ladies are made in fuchsia while the men’s are made in Gecko. 5.11uses Ortholite in the midsole and the sockliner to ensure you have all day comfort. The body of the shoe is reinforced stretch nylon mesh that is welded to the midsole for stability. The toe cap will reduce wear when getting up and down from kneeling and prone positions. While a number of the matches have more physically demanding positions where you are climbing walls or wrapping a leg around a wall for support the “rope ready zone” will give you grip and help prevent the ABRs from getting torn up. The outsole is designed to give you good traction and enhanced flexibility. While the majority of the sole is raised triangles that quickly clear debris and mud, the ball of the foot has a unique serrated design. Some folks will argue you lose traction, however you stop with the heel area of the shoe and when taking off the toe area gives you traction. Unlike the slick nubs of another shoe company which wear quickly, this sole will wear well on concrete and other hard surfaces. Not having nubs also gives the ABRs better forefoot support which is important to shooters with lower limb injuries. First Tactical’s Sidewinder with the wrenches and glass breaker is the most versatile clip-it style knife I have seen since my first Swiss Army Knife. 5.11 Tactical’s ABR is built to be serious footwear, not just wear for competition. This shoe should wear like iron yet feel like slippers while ensuring you are comfortable all day. 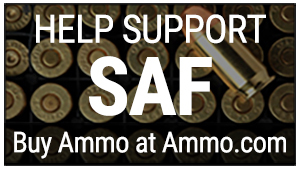 I have been wearing mine on the range and hiking the hills around home. Even hiking over wet leaf-covered terrain, I have yet to get that feeling of unsure footing. The tread never clogged up with mud on the range or trail. My best friend Lisa has been wearing hers working disaster relief in California. She has been on her feet literally all day and her legs and feet have not been tired or achy. She tells me even trekking over the remnants of the woods and buildings she has not slipped or felt like she had unsure footing. If 5.11’s ABR can endure the rigors of disaster relief work, I am sure they will survive shooting USPSA, IDPA, 3-Gun or any other range use. You will not feel like your shoes scream “shooter” wearing them out on the town. 5.11 Tactical’s ABR is a good all purpose shoe, you will not go wrong with them. First Tactical’s (Phone: 855-665-3410; Online: firsttactical.com) Sidewinder clip-it style knife is one of the first knives in quite some time that has made me do a double take. This $59.99 knife is a godsend for anyone who uses optics on their rifle or handgun. If you are looking for a low profile tactical pant, Vertx Hyde with all of its stealth magazine sized pockets is it. 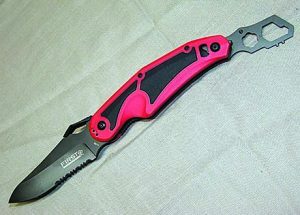 The Sidewinder puts a glass breaker, partially serrated 3.52” modified spear blade, and a number of box style wrenches all in a 4.96” package. The handle is FRN so it’s virtually indestructible, with an ambidextrous pocket clip. This clip is angled so that the stress is removed from the square angle where it screws into the frame. You will find TPU inlays of the red or black frame provides a secure grip in all conditions. You will find the liner locking blade is easily opened thanks to First Tactical’s Thumb Bridge. 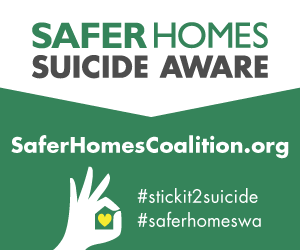 As the name implies there is a bridge for your thumb not a hole or ledge which can be difficult to operate with gloved hands. Thanks to crazy fall weather I was able to verify this. In rain or cold I was able to open the knife. The AUS8 steel blade is coated with black oxide so it too will survive harsh conditions while holding/taking an edge. The wrench/screwdriver blade has a thumb stud. Being new, I could not get the wrench to just flip out. I didn’t consider this an issue because there is generally no rush to get out a tool to adjust the settings or tighten down an optic. The screwdriver blade fits all the adjustment screws of optics I tried it on and the wrench tightened/loosened the scope mounts with no issues. This blade is unique because it has an Aimpoint adjustment tool so you don’t have to fumble with the adjustment caps when setting windage/elevation. With these features the Sidewinder is a piece of kit for shooters, hunters, soldiers and LEOs that saves weight and space. For shooters who prefer a more “BDU” style pants Vertx’s Fusion Stretch Tactical Pant is an excellent choice. If you need more pockets you might need a vest. If you are looking for the latest and technically advanced pair of pants to carry the Sidewinder in, look no further than pants from Vertx (Phone: 844-932-7889; Online: vertx.com). 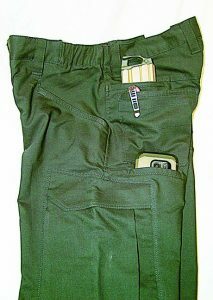 One of the problems with most “tactical” pants is they look like they are civilianized military pants. Another major problem is many women’s pants are simply men’s pants sized for ladies. Vertx has addressed both of these issues. Hyde Pants have addressed the issue of general wear men’s pants that have the fit and feel of military BDUs but with the look of a pair of chinos. Like BDUs, Hyde’s are flush with pockets, very low profile pockets, eleven to be exact. You will find traditional riveted front slash pockets and patch rear pockets with the right front having a key/ID pocket. In place of big cargo pockets there are hidden zipper pockets in the seam of each leg. These two pockets are so well designed I initially overlooked them. Directly behind the thigh pocket is another slash pocket. There is a twin of this pocket at the waist. At first glance they do not look it, but they will each carry an AR magazine or large smart phone. I had no problem inserting or removing gear from them on the range. Two very important features of the Hyde are the belt loops and large gusseted crotch. You will find the gusset ensures comfort and freedom of movement. The belt loops are large enough to fit 1.75” belts and are placed to accommodate wearing a holster, something rarely found in casual style pants. To fit your wardrobe you can buy these pants in seal brown, military olive and smoked pearl. The pants run true to size from 30-44 inch waist and 30, 32, 34-inch inseams. The 5-oz. 42% Polyester, 23% 37.5® Polyester, 35% Cotton Fabric washes well with little if any shrinkage. At $89.95 these pants are competitively priced. For ladies (and men) we looked at the Fusion Stretch Tactical Pants. These pants are available in the widest size range I have seen from 0-18 with 30, 32, 34 inch inseams. Fusion colors are black, navy, OD, khaki, desert tan. The 5-oz. 40% Polyester, 24% 37.5® Polyester, 36% Cotton material washes and dries very well and I have been told they are literally wash/wear. If you need pockets, the Fusion has them; fourteen to be exact. There are traditional front slash pockets, each rear patch pocket has a hidden pocket at the waist and there are two small slash pockets below them. 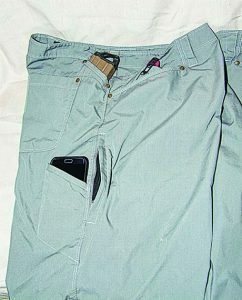 The lay-flat cargo pockets have a front zipper pocket for easy access when sitting or kneeling. Inside the cargo pockets are smaller pockets to keep items from moving around. If you cannot carry all your essential gear when wearing the Fusions you are carrying too much. Lisa tells me the best feature of the ladies Fusion is the elasticized waist. She is athletic but curvy so the elastic on each side of the waist allows the pants to go on and off without having to shimmy into them. Once on they fit perfectly thanks to the give of the material. Thanks to the 1.5” belt loops she has no issue finding a belt to fit. You can see the orange outline tritium on the front sight and the bold “U” notch with its tritium vial in the rear of XS Sights F8 Night Sight. Vertx ensures comfort with a gusseted crotch. You will also find the knees are gusseted for ease of flex when kneeling, sitting; anytime you are doing something that requires you to bend your knees. Lisa’s thoughts on the women’s Fusion are “perfect”. When she is that short in her answer that tells me Vertx did everything right. Her other comment was, knowing how they fit and feel she would spend the $89.95. If you have been reading gun magazines for any length of time you have seen Express Sights from XS Sight Systems (Online: xssights.com; Phone: 888-744-4880). 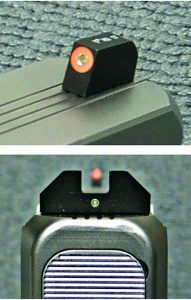 These Sights are simply a dot or tritium dot front sight that centers in a wedge rear. They had their origins on the plains of Africa and XS engineered the rifle sight for a handgun. Having used them for a long time, I can tell you they work, but you have to be dedicated to them to properly employ them. About mid-summer of 2017 I received an email saying XS Sights was going to introduce their newest sight the F8 Night Sight. This is a more traditional slot post sight, except the slot is a “U” notch. This type of rear sight gives you the speed of the wedge express but the accuracy of a traditional notch. What sets the F8s apart from other sights is the front sight. You will find the tritium dot is centered in a bright luminescent dot. It naturally centers in the rear notch. My Glock test set was installed on a LWD Timberwolf 19 (Online: lonewolfdist.com). If you haven’t seen one the frame is similar to a Glock, in this case the G19. They fit perfectly on the slide. Once installed, I noticed the sights are “suppressor height” to use with a low mounted mini-red dot. I did not have a Trijicon RMR to mount on the LWD slide, but that will make no difference in their application. What I did find is it took a little getting used to shooting the slightly taller sights. I wanted to settle the front sight deep in the notch. After a couple magazines full of ammunition I was center punching the half size USPSA targets I practice with. After some practice I found these sights to be very quick to pick-up on the draw. I noticed because of the height the flash sight picture was very quick, making semi-aimed fire easy and fast inside of 10 yards. When I was using them on a cloudy rainy day, the orange dot was still easily visible. In low and no light the tritium vial shined like a light and I noticed the rear sight has a small tritium vial to aid in sight alignment. I am certain this will be an awesome set of sights for duty and personal protection applications. With SHOT Show just around the corner, expect to see The GunMag and Women & Guns bringing you more of the newest clothing, ammunition, gear and firearms. Be careful when out and about in the wintery weather of January. Make sure to dress for the weather heading to the range to shoot safely, accurately and have fun doing it.